An update to Vol. 1, pp. 270–291. Large-scale archaeological excavations were carried out at Caesarea from 1992 to 1998 by the Israel Antiquities Authority (IAA); they were directed by Y. Porath. The project included the excavation of a 100–150-m-wide strip along the coast between the theater complex to the south and the excavations of the Combined Caesarea Expeditions (CCE) to the north; the western part of the temple platform and the area between this platform and the eastern quay of the port of Sebastos; both sides of the southern Crusader wall (continuing the salvage excavations carried out in 1989); the bottom of the Crusader moat (cleared in the 1960s by A. Negev), from the southern gateway to the northern gateway; and the area southwest of the theater. 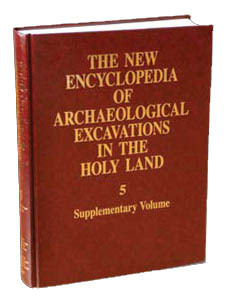 In addition, salvage excavations were conducted within the area demarcated by the Byzantine wall; in structures outside the wall; on the necropolis; in agricultural areas to the east, north, and south of the city; and along the aqueducts that carried water to Caesarea from outside the city.